Oh look at that doodlebug! He really IS cute. Yup, he's thirsty from all that posing to look so cute! You really work him way too hard. So, does he slosh his water around in his trough in the summer? My horses used to shove thier head into the water troughs -- yep, holding their breath -- and slosh water everywhere. My old gelding loved to go swimming too. Tell me about it! And you wonder why I am always drinking......er. You know what I mean. 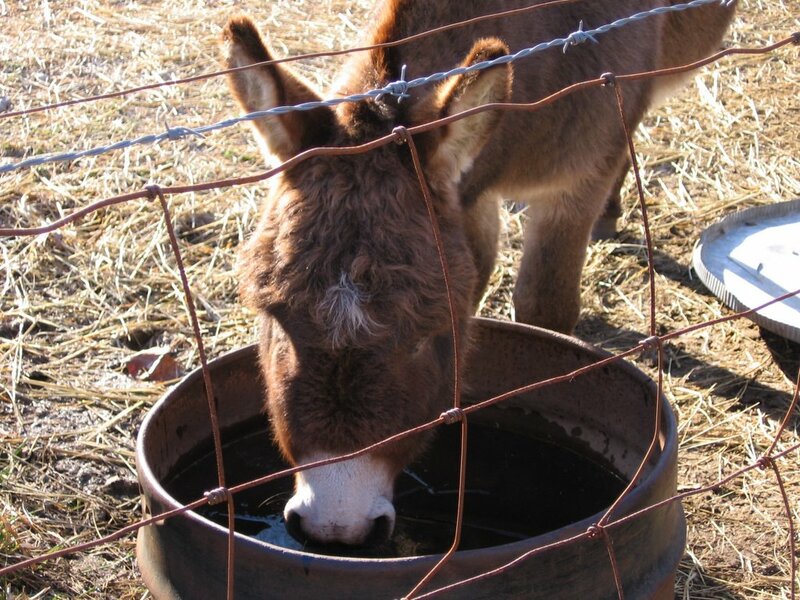 Nothing in the world so refreshing as a donkey gettin some cool water! This donkey has grown on me. He is quite the photogenic one.